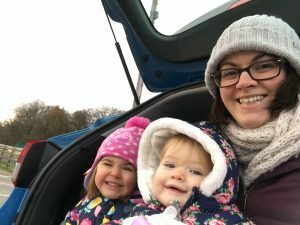 Blog » Introducing Mum Time Cheadle! “Following the birth of my second daughter I had a serious think about how I was going to continue working but still have quality time with my girls and manage to earn some money beyond childcare costs when I came across Digital Mums. Digital Mums is an amazing company that wants to help mums find #workthatworks and provide training courses in Social Media Management that in turn provides their trainees with a flexible working option when they graduate. Social Media is huge and the opportunities are endless for qualified Social Media Managers and it is a very flexible work choice as you can run a Social campaign from pretty much anywhere. The more I considered the course the more I knew it would be a good fit for me. You can read more about Digital Mums here. Anyway, here I am, 2 months into my course and I must say I am loving it. The hours are tough with 2 toddlers but I am fitting it in. The course is a learn on the job approach and so I am now running my own Social Media campaign in the community. The campaign needs to be something close to your heart as it does take up a lot of your life and so I decided that I would create “Mum Time Cheadle”. I think that all mums need a bit of “me time” back in our lives after having kids; I know I can’t even go to the toilet in peace anymore without one of mine coming with me or standing at the door shouting for me (even though I do try and escape to the loo for a quick 5 minutes peace scrolling through Instagram!). I do love my kids absolutely but I have also struggled with losing my identity a little bit ever since becoming pregnant with my first baby and finding no one was interested in me anymore (you know that way that no one ever asks if you are well – just straight to “how’s bump/baby”). After 33 years of being me, I was suddenly just “mum” and the only way I know of regaining a bit of Meg again is to have a bit of time off, even if just at the hairdressers or sitting in John Lewis café with a coffee, cake and my kindle on my own. It really has helped me appreciate what I have and given me back some of the patience that sometimes ebbs away after a stressful few days with 2 toddlers!